Assam Higher Secondary Education Council (AHSEC) is likely to declare its class 12 results today on 30 May 2014. All those candidates who have appeared in the exam can check their respective results on the official site of the board or else click on the site. 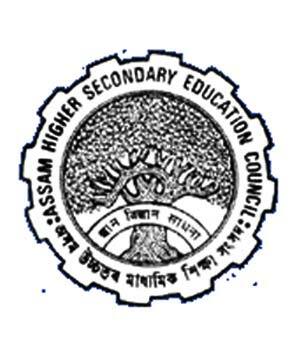 Assam Board (Assam Higher Secondary Education Council / AHSEC / www.ahsec.nic.in) Result 2014: Check (AHSEC Result 2014 / Assam Board Higher Secondary Result 2014 / Assam Higher Secondary Result 2014 / AHSEC Class 12th Results 2014): Assam Higher Secondary Education Council (www.ahsec.nic.in), Assam Higher Secondary Exam Result 2014 / Assam Board Higher Secondary Exam Result 2014 to be declared today i.e. 30 May 2014 on www.ahsec.nic.in and http://assam12.jagranjosh.com/ at 10:00 AM. Assam Higher Secondary Education Council (AHSEC) is likely to declare its class 12 results today on 27 May 2014. All those candidates who have appeared in the exam can check their respective results on the official site of the board or else click on the site https://www.jagranjosh.com/results/2014-ahsec-hs-12th-64250 to know results faster and simpler. This is an initiative taken by Jagranjosh team that will help students to know their results. Even mobile sms alerts are also available. The class 12 examination for Assam Board was held in the month of Feb-March 2014. About 2, 50,000 students appeared for the examination. In 2013, the results of class12 were declared on 15 May 2013. It was on 01 June 1984 when Assam Higher Secondary Education Council (AHSEC) was established. It was established to check, regulate, supervise and develop the system of Higher Secondary Education or Class 12 education. The board has its headquarters set in Guwahati and operates in English and Assamese language.